We have established in our previous devotion, that, the third Jewish Temple will eventually be built and situated on the Temple Mount in Jerusalem. Of great significance inside this Temple, will be the throne of David. That is the throne the nation Israel will erect, while awaiting the Christ. The Prophet Isaiah had prophesied, that, a Child would be born, and a Son would be given; He is the Christ, who will sit upon the throne of David and whose Kingdom will bring everlasting peace. The nation Israel has continuously faced stern opposition and enmity from neighbouring countries, and has therefore looked forward to the emergence of the Christ as their deliverer, who will bring them everlasting peace. When Christ came the first time, they couldn’t recognize Him; they rejected Him and crucified Him. 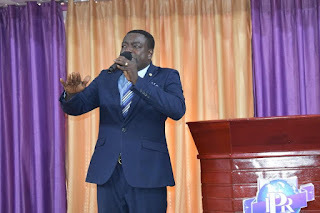 One of the reasons why the nation Israel rejected Jesus as the Christ was that, whereas they expected the Christ to deliver them from servitude to the Romans, He kept talking about His death and resurrection. To them, if Jesus was going to die, then, He wasn’t the Christ. They didn’t have the revelation that the Gentile world was going to be a part of God’s eternal program through the death and resurrection of Jesus Christ. As a result, the nation Israel is still awaiting the emergence of the Christ up till now. To them, Christ hasn’t yet come; they only know of the Second Advent of Christ, but know nothing about His first coming as the sacrificial Lamb. In our next devotion, we will discuss how the setting up of the throne of David in the Temple will infuriate the antichrist, and how that will lead to the great tribulation.